This classic hit by Simon and Garfunkel continues to be popular today. Older generations love the original and younger fans enjoy the cover by Disturbed. Even the movie Trolls features this great song! 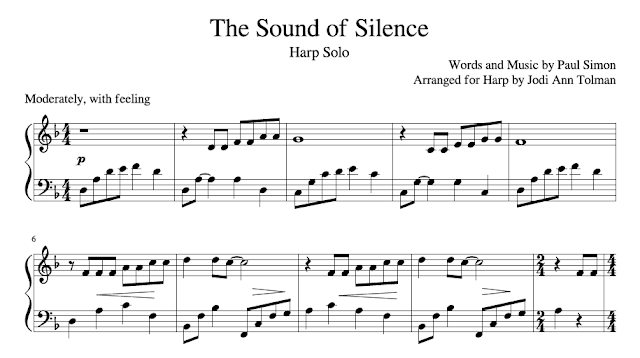 This piece is so versatile as part of any repertoire, and it translates very well to the harp. This is a beautiful arrangement. Peaceful and lovely... Thank you! I really love your arrangement. And its nice it comes in two keys! Thanks a bunch! Your version is lovely.